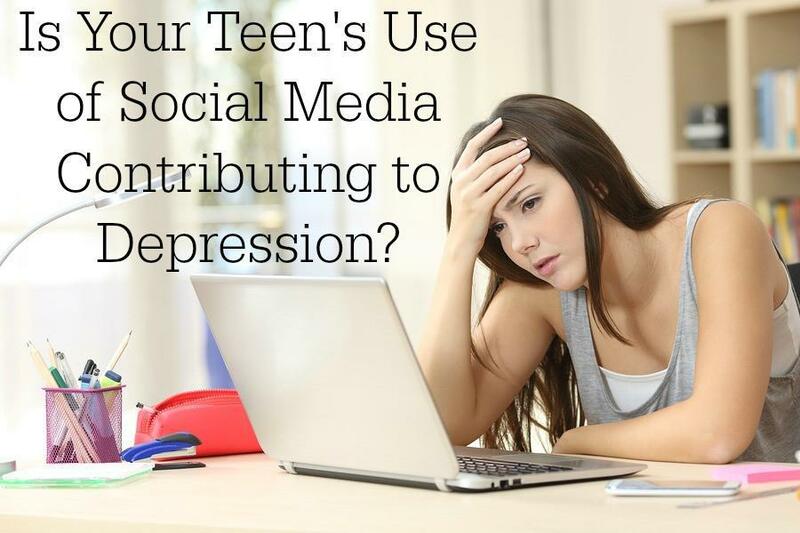 Is your Teen’s Use of Social Media Contributing to Depression? It seems that our lives have become entrenched in the use of social media. According to a recent article in Tech Times, citing current research, “the current generation is into social media so much, not knowing that the longer they spend time on it, the higher the possibility of getting depressed.” Does your teen fall into this category? Do you know the impact it is having and if is contributing to your teen’s depression? Studies are finding that the more time that teens are spending on social media, the greater the risk for depression. However, researchers are still trying to determine if it’s the social media that is causing the depression or if higher numbers of teens with depression flock to social media. Tech Times reported that over 1,787 U.S. young adults ages 19-32 in a recent study conducted by the University of Pittsburgh visited about 30 different platforms, 30 times a week and spent an average of 61 minutes a day on those various social media sites. Of those, a high amount of depression was found in no less than 25 percent of those that participated in the study. HealthDay News interviewed Dr. Brian Primack the director of Center for Research on Media, Technology, and Health at the University of Pittsburgh. He explains that one possibility is that if your teen is already depressed, they use social media more since it takes less energy than direct social relationships. On the other hand, there are also reasons as to why an increase in the amount of social media use can lead to depression. These teens tend to compare themselves to others on social media sites and feel they are not living up to the same scale. He further goes on to suggest that it can be a “vicious cycle” as teens that are already depressed that use social media only deepen their depression. While the researchers of this study do find a correlation between the use of social media and depression, they in no way are suggesting that everyone that uses social media is going to get depressed. Health professionals encouraged to explore the link with their patients. Whether you are concerned that your teen is depressed or not, it is still a good idea to monitor their social media usage. Be aware of sites they are visiting and the amount of time they are spending on them. If you do have concerns that social media is causing depressive thoughts for your teen or worsening your teen’s depression, consider talking to a health care professional that specializes in teen depression.